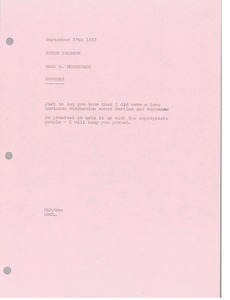 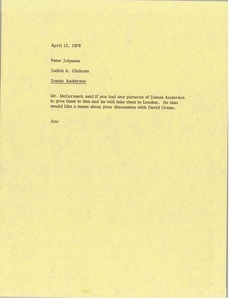 McCormack wants Johnson to respond to the attached. 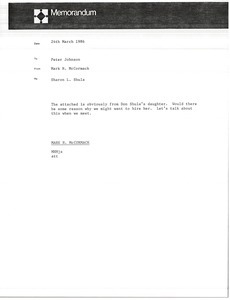 McCormack writes regarding Sharon L. Shula. 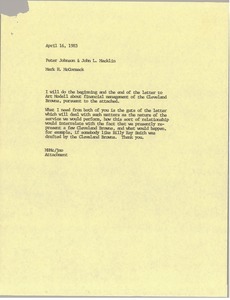 McCormack will write the beginning and end of the letter to Art Modell about financial management, but wants Johnson and Macklin to write "the guts" of the letter. 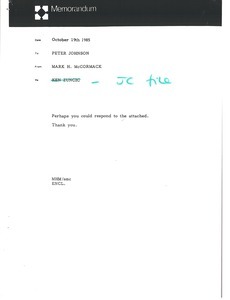 Concerning the attached regarding Drazen Petrovic, McCormack writes "Can we please get Cino and our European mafia after this person in an effort to sign him." 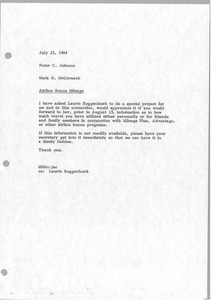 Concerning a conversation with Lewinton about Martina and Sunbeam. 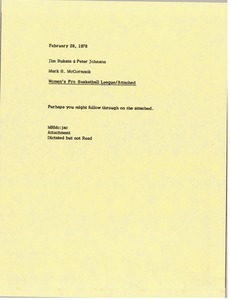 Concerning the Women's Pro Basketball League. 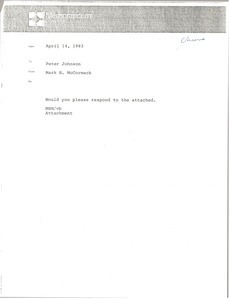 McCormack asks Bukata and Johnson to follow up on an enclosure. 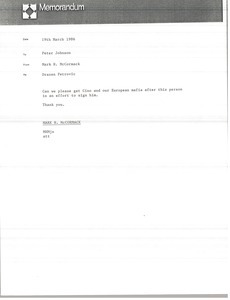 Enclosure not with memorandum. 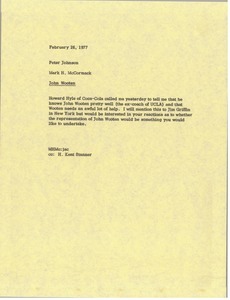 McCormack asks Johnson to respond to the attached.